Working with FZ Jr. 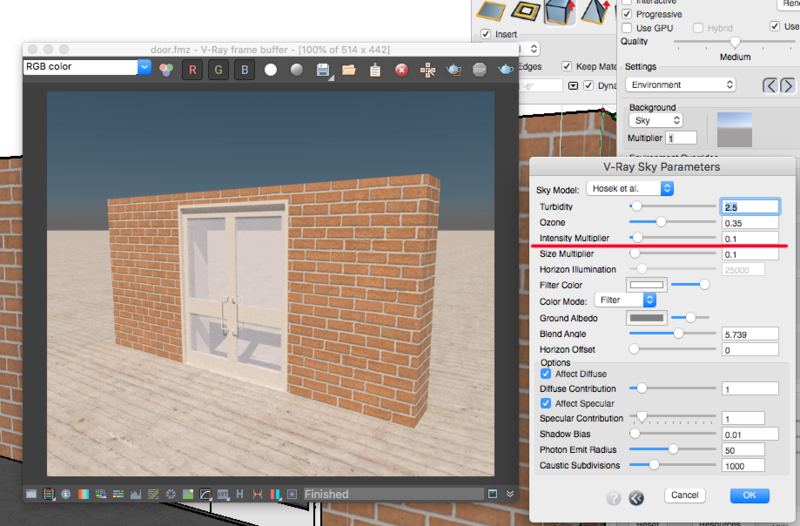 I see two places where to change vray sunlight intensity, the FZ lights palette and Tool Options - VRay Sun. Changing the slider in either/both of these is not affecting the sunlight intensity. 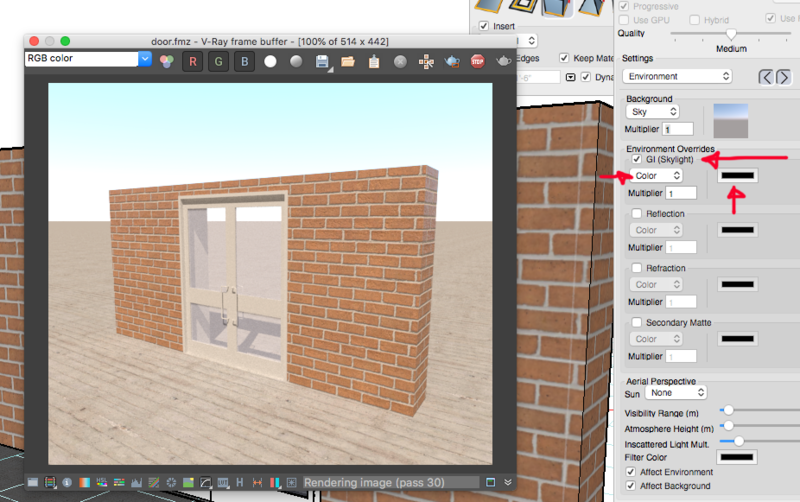 VRay sunlight is the only light in the scene. 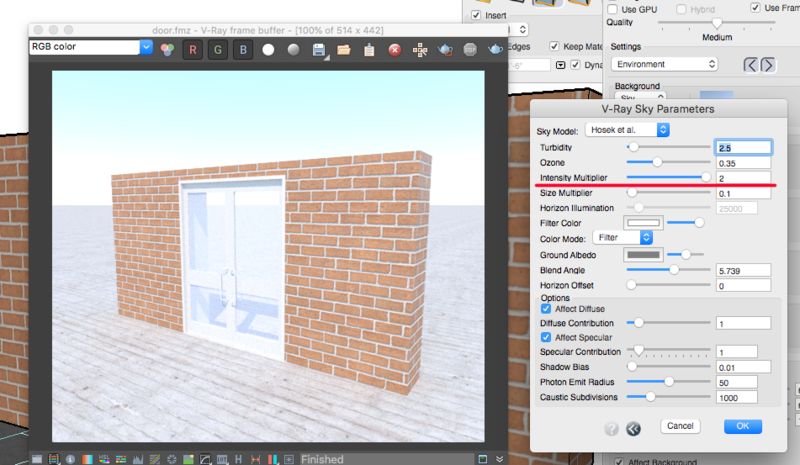 the cie overcast option for vray sunlight does not seem to be working either. 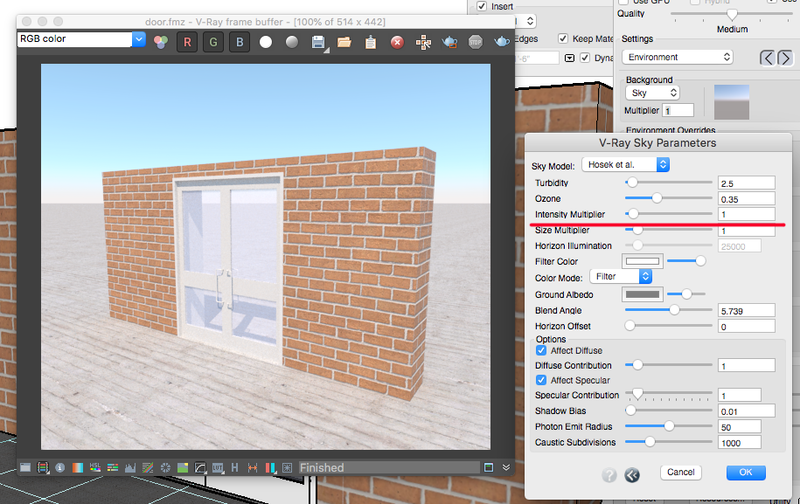 So it looks like double clicking on the vray light brings up another dialog box which does seem to be responsive to input. Looks like this will get me what I'm after. You can adjust the intensity of the Sky Environment in the Sky parameters. Does this help you scene? You can also disable the GI effect from the Sky Environment by Using the environment override (using a bank color will mans that no GI illumination will come from the environment). yes, thank you! That works.